In 1988 the Ohio Beef Expo was created by leaders of Ohio's beef industry. The 2019 event will mark 32 years. 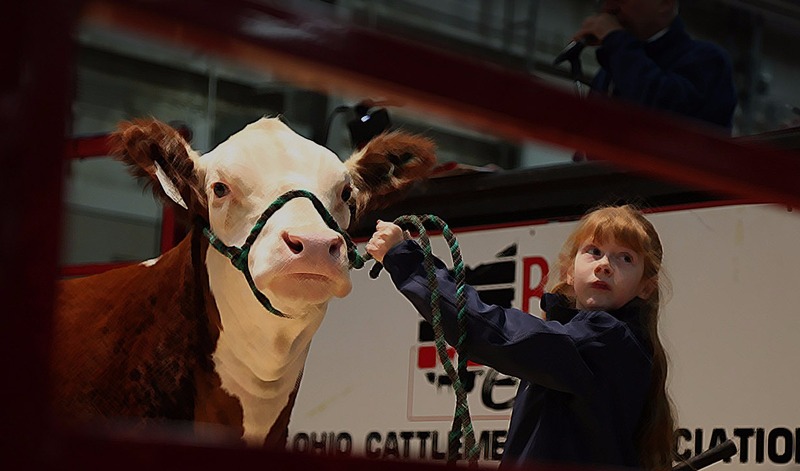 The Ohio Beef Expo is the premier event for Ohio’s beef industry, attracting over 30,000 participants from 25 states and Canada each year. The Expo includes breed sales, shows and displays, educational events, a highly competitive junior show and a trade show with over 140 exhibitors. The Beef Expo ranks annually as one of the top five largest conventions in central Ohio. You won’t want to miss this exciting event! Admission to the Ohio Beef Expo is FREE. Parking at the Ohio Expo Center is $5.00 per day. Weekend parking passes are $14.00 each.